TACOMA, Wash.--(BUSINESS WIRE)--Puget Sound Energy (PSE), the Washington state energy provider which recently announced it had added 40 new utility vehicles equipped with a hybrid electrification solution from industry leader XL, will be showcasing one of its new hybrid vans with XL during the Green Transportation Summit & Expo, April 17-19, the companies announced today. The joint demonstration will showcase how companies can easily convert fleet vehicles to cleaner, more fuel-efficient systems throughout the event, which supports the commitment to carbon footprint reduction while saving costs. PSE selected XL’s fleet electrification technology for its 40 new cleaner and more fuel-efficient Ford Transit utility vans, which hit the streets earlier this year. 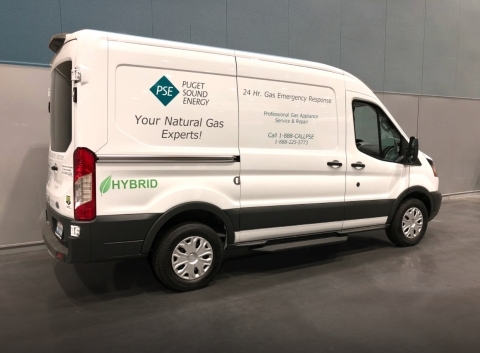 The upgrade is expected to reduce each van’s carbon footprint by up to 20 percent and increase fuel economy by as much as 25 percent, reflecting the utility’s commitment to protecting the environment, as well as its bottom line. PSE worked with XL to upfit each Ford van with an electric motor and advanced lithium-ion battery pack, as well as the XL Link connected vehicle system. The XL system allows PSE vans to save fuel through regenerative braking, which simultaneously charges the battery and in turn helps power the vehicle when the driver accelerates. 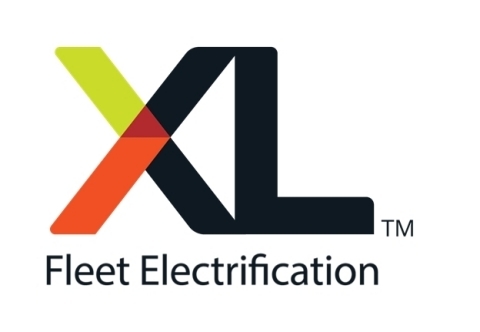 XL is the leader in connected fleet electrification solutions for commercial and municipal fleets, relied on by customers such as The Coca-Cola Company, Verizon, Yale University and the City of Boston. XL’s fleet customers can increase fuel economy by up to 25 percent and 50 percent respectively for Class 2 to 6 commercial fleets, as well as decrease operating costs, reduce carbon dioxide emissions and meet sustainability goals with zero impact on fleet operations or service. For more information, visit www.xlfleet.com or on Twitter @XLFleet. Puget Sound Energy is proud to serve our neighbors and communities in 10 Washington counties. We’re the state’s largest utility, supporting 1.1 million electric customers and 800,000 natural gas customers. For more about us and what we do, visit pse.com. Also follow us on Facebook and Twitter.